And the Diet of the Year is?? 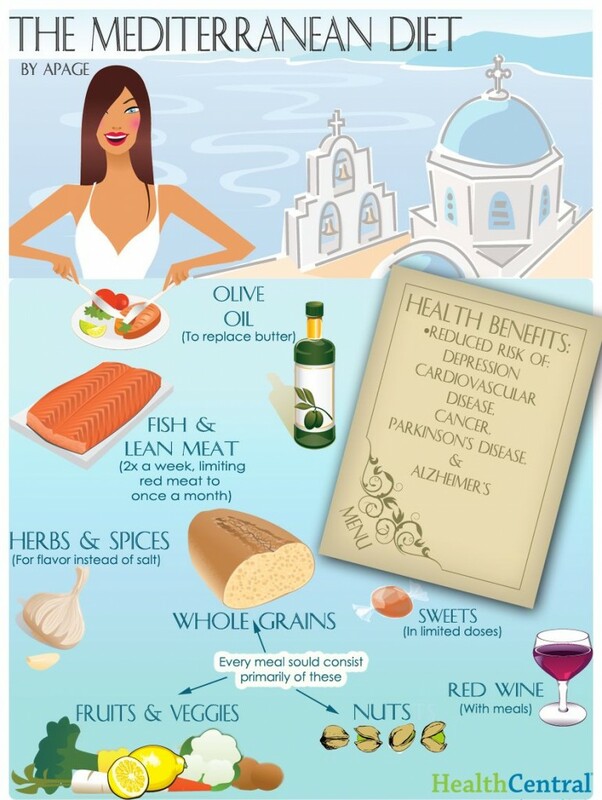 What is the difference between the Mediterranean Diet and mine?? I also eat mostly just these things. I watch legumes and nuts because of the carbs, but if you count the carbs that you are eating, you can do it. I have written out what the Mediterranean rules are and my thoughts and differences are in bold type. Nuts are another part of a healthy Mediterranean diet. Nuts are high in fat, but most of the fat is healthy. Because nuts are high in calories, they should not be eaten in large amounts — generally no more than a handful a day. (I do this!) For the best nutrition, avoid candied or honey-roasted and heavily salted nuts. This diet works and so does mine. A difference as well, is that I eat my proteins 6 times a day and they are measured out, mostly 4 ounces each and about 3 ounces for beef. I space it out to every 3-4 hours. Never let yourself get too hungry. Keep refueling. My way is a little more rigid, but it works. Try this out! It is not just a diet, it is a lifestyle. And you are less prone to diseases as you age.